Fenerbahce are in advanced talks with Liverpool over the transfer of Martin Skrtel but a deal has yet to be finalised a source close to the Istanbul giants told Emre Sarigul. Skrtel is keen on a move to the Yellow Canaries and talks have been ongoing for the last three weeks. The Slovakian international’s agent only recently told us that Liverpool and Fenerbahce are nearing a deal and that only a few details remain to be ironed out in order to complete the transfer. “Talks have been ongoing between Liverpool and Fenerbahce for the last two-three weeks and there are just a few details to sort out,” Csonto said. 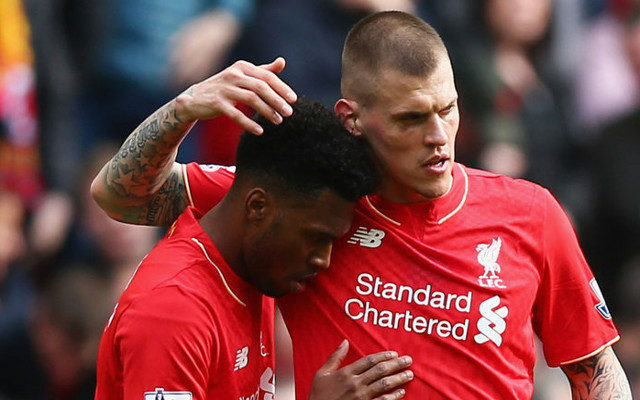 Skrtel is expected to leave Liverpool this summer and Fenerbahce are currently favourites to sign the 31-year-old. The experienced defender has made 320 appearances in all competitions since joining the Reds from Russian giants Zenit St Petersburg in 2007. Fenerbahce would be able to offer Skrtel first team and Champions League football next season if he does go ahead and made the move. The Yellow Canaries finished last season as runners-up and reached the Turkish Cup final to rivals Galatasaray.